Aqualife is a global leader in fish care and vaccination services. We work with clients around the world to deliver a range of professional services to the aquaculture industry, working in partnership with our clients to ensure their fish are well looked after, healthy and in the best condition possible. We are located in Scotland and Norway, at the heart of the world’s aquaculture centre of excellence. From our head office in Stirling, central Scotland, we work with aquaculture clients across the world from the West Coast of Scotland and Norway, to Asia and the Faroe Islands. 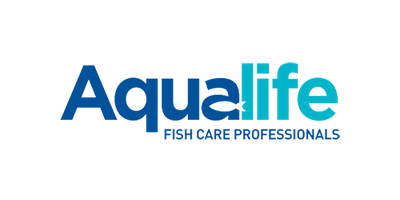 We are a service and values led organisation, and pride ourselves on offering the very best in fish care through onsite, fully trained and experienced vaccination teams – setting the industry benchmarks for quality, safety and hygiene. We are the world’s largest fish vaccine delivery company based in Stirling, Scotland and Lofoten, Norway. Since 1996 we have been leading and pioneering commercial fish health and welfare both in Scotland and Norway. Our amazing fish care professionals have vaccinated more than 700 million fish to date. That’s roughly £10 billion of fish kept healthy and disease free. Trust our experienced staff and professional, flexible and cost effective service to add real value to your business. Read on to find out more. Aquaculture is farming in water, just as agriculture is farming on land. Both have been going on for thousands of years but it’s only recently that aquaculture has expanded to be the thriving global industry that it is today. Now the fastest growing animal food-producing sector, aquaculture includes the farming of a vast range of aquatic organisms, including fish, shellfish (molluscs, and crustaceans) and aquatic plants, in freshwater or seawater, utilising systems from low to very high tech. Aquaculture is diverse, exciting and important, employing dedicated people from many countries. Key players include China, which accounts for over 60% of world production, and Norway, which accounts for over 40% of the European aquaculture sector; Spain, France and Scotland are the next largest three. In Scotland, home to Aqualife’s HQ, there is significant production of rainbow trout and mussels but the aquaculture industry is dominated by Atlantic Salmon farming. Over the past forty years, salmon farming has brought new life to Europe’s northwest coastal communities. Salmon from farms in Norway, Scotland, Ireland and the Faroe Island, produced to consistently high quality standards, now form regular meals for satisfied consumers across the globe. Successful aquaculture businesses know that healthy fish mean healthy profits. Here at Aqualife we are proud to play a significant part in ensuring that fish are farmed in a way which maximises their health and welfare and so help in developing and sustaining the aquaculture industry in Norway, Scotland and worldwide.